You may have noticed my absence these past few months. I haven’t posted an article or taken on a challenge since June and I apologize for this long stretch of silence. I took a break to focus on a few other (and all consuming) challenges. First, a monumentally stressful cross country move, and second, my book. 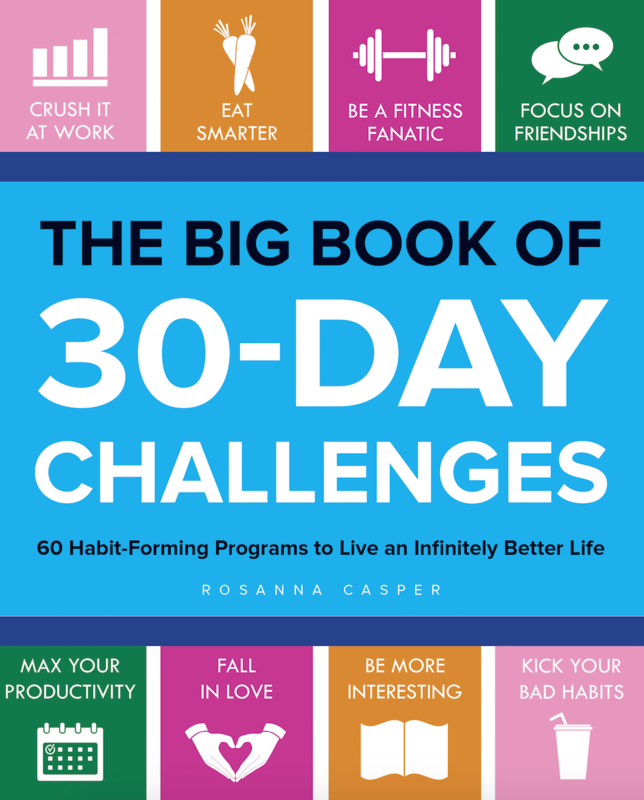 I’m glad to report that we are settled in our new home, the kids are happy at school, and The Big Book of 30 Day Challenges (order on Amazon here!!) is off to the printer! I can finally breathe a giant sigh of relief… and get back to my blog and my challenges. This photography challenge was inspired by my friend Amy, who in 2016, set off to take, edit and share (on Instagram) a picture every single day as a way to improve her skills as a photographer. I adored her photographs. I loved watching the pictures evolve over the course of the year. But most of all, I was fascinated by her commitment and enthusiasm (most of the time) for the project. Now I don’t know the first thing about photography, but I do appreciate beautiful images and I’m excited to learn. My goal? To become better at capturing the world around me. I want to notice small things like little kids with their huge backpacks, rusted pennies on the sidewalk, or the way that light enters my living room in the afternoon. And I hope to better understand composition, light, depth, and movement, and create some pretty pictures in the process. This month, I’ll be shooting, reading, practicing, training my eye, and posting a photo every day on Instagram (@goldfishrose) and Facebook (Facebook.com/hackerella). So be sure to give the pages a like and a follow! Photo 1/30: Something Beautiful. I left my house this morning, camera in hand, hoping to take pretty photos of my neighbor’s flowers or the tree that’s starting to turn red or the waves crashing on the lake on this beautifully dreary day. 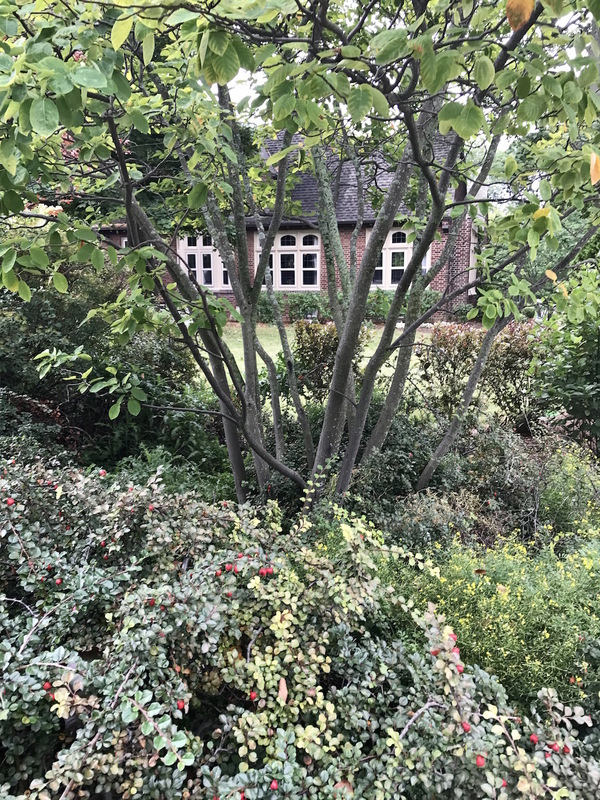 At the last minute, I turned around and looked at the side of my new home through the bushes. Wow. I thought to myself. I still can’t believe this is my home. I’ve never lived in a house of my own before now. My entire adult life has been spent in condos and apartments with elevators and common spaces and association rules. And today, we live in a beautiful house with a yard and bushes and flowers. We own a hose! We have garbage cans to take out on Sundays. A driveway that’s filled with bikes and scooters and helmets. And a garage door that’s already broken. I stared at the red brick through the trees, and crouched down to snap a few photos. And then went to shoot the flowers and trees and waves on the lake. When I went to review the photos, there was no question. This was my beautiful moment for the day. Unfortunately, I can’t comment on actual the quality the photo (I’m covering it up with flowery prose). I shot without rhyme or reason, trying out different angles, again and again. I look forward to finding my eye and better explaining the thinking behind the photo.